Carter and his Racing 92 team-mates Joe Rokocoko and Juan Imhoff failed the test conducted by the French anti-doping agency in June and reports emerged that "traces of corticosteroids" were found in their samples. However, the trio pleaded innocence and went on to claim that they had Therapeutic Use Exemption in effect which allows them to take the needed medicine which is under the Prohibited List to treat their respective injuries. The French Rugby Federation on hearing the case cleared the trio of the charges on Tuesday. 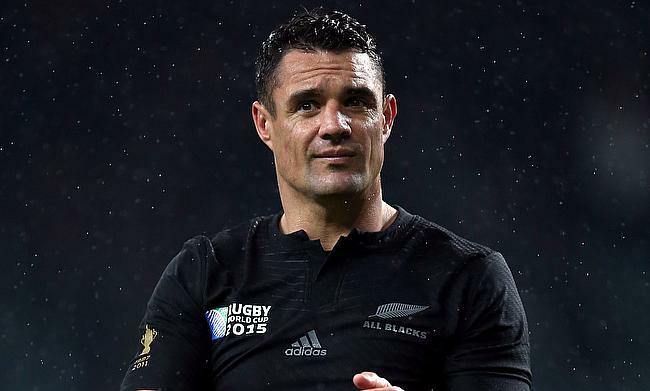 The All Blacks legend stated that he was always confident of coming out clean but things were blown out by the media in between. He further assured that he will not do anything that will bring disrepute to the game he loves. "We knew we had done nothing wrong. We knew that was going to be the answer," said Carter to Le Monde newspaper on Wednesday. "I guess the process has been a little bit disappointing, how it's been dragged out through the media. "It's been tough because there's been confidential information being leaked. It's disappointing to have to try and defend yourself when you've done nothing wrong. "You know, I hold my integrity and the game (of) rugby's integrity in the highest regard. "Obviously, I respect the authorities that help keep the game clean. I would never do anything intentionally to put the game into disrepute. It's nice to get the decision and be able to move on and do what I love, and that's play rugby." Explaining his case of why he used the medicine, Carter also described the time taken for the process to be completed as frustrating. "When you have an injury, you take procedures to cure that injury, within the anti-doping regulations, of course. "Obviously, the reason for me taking, which I explained to the medical hearing that we had, was that I played the (Top 14) semi-final against Clermont. The next day I had inflammation in my knee. "I had the injection. I rested for two days. And then after that rest I was fit to play, and I played. And I can't see a problem with that because that's all within the regulations. When you have an injury, you get your injury cured. "I'm not sure what the debate is. I was a little surprised at the amount of media created. "Back home in New Zealand they saw the story, they've seen that I hadn't broken any doping regulations. And after 24 hours there was no longer a story. "It seemed to drag on here in France. I don't really know why because I don't read the papers or listen to the news, so I don't really know anything about the debate, but I was a little surprised how long it's gone on for compared to back home in New Zealand."